Synopsis: Square Enix is the latest company to fill our mailbox with a review title, this time for the Wii, in the form of a really, really long title, Final Fantasy Crystal Chronicles: The Crystal Bearers. The recent entry to the Final Fantasy franchise comes to fans in the form of an Action RPG, taking on the role of Layle, a mercenary that is a crystal bearer, which possesses magical abilities that is looked down on by the public. 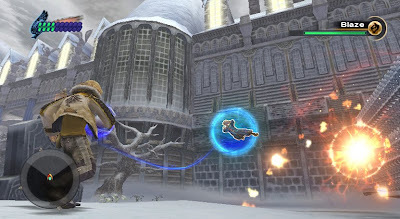 The Crystal Bearers is the first Final Fantasy game that has been developed exclusively for the Nintendo Wii, incorporating motion-driven gameplay, intuitive controls, and open interactive environments. The crystal bearer powers help the player take on enemies, move objects, and navigate through the interactive world. With an extra remote, spectators can jump in and help out during special areas of the game. Praise: Finally, a Final Fantasy title I can play on a console rather than on the Nintendo DSi and is not a remake. 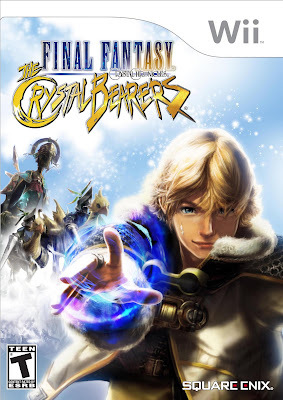 The Crystal Bearers is different from the previous entries that were predominately turn based but still includes most of the elements that make Final Fantasy stand out from other RPG titles. The game starts with an action sequence and then the game’s story truly takes off, while there is still traveling and fights against familiar and new enemies, the boss fights and interactive story sequences had me hooked. The animated cut scenes looked amazing and were exactly what I would expect from a Final Fantasy game, full of action, airships, and a conflicted main character teamed up with a band of misfits. 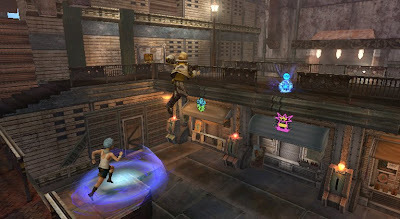 The gameplay is more of a real time action game, so rather than waiting to attack, you use the remote to aim at, pick up, and throw enemies OR use objects to throw at enemies, which may use less strategy than playing the typical jRPG, but added more of a challenge. While the story is great and the soundtrack being equally good, there are also more than three hundred medals to achieve for those looking to discover and complete all that the game has to offer. Gripes: The first thing that I noticed missing from this game is the inability to level your character up, learn new abilities, and equip weapons, however there are three accessory slots to equip items made from the loot of your fallen enemies. 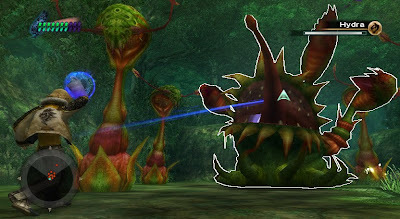 The camera controls haunt the player throughout the entire game, as the player has to use the directional pad on the remote and it is awkward when you are mid fight using the “B” button to lock onto and throw baddies while trying to adjust the camera. Navigating to the next point of interest can be difficult at times with the map available in the menu screen being of little help, if the map was a little more detailed or an indicator to help guide you to the next location, there would have been a lot less time spent looking for where I had to go next. Lastly, the length of the game was a lot shorter than previous Final Fantasy and Crystal Chronicle titles, being that it took just shy of ten hours to complete, and that was with getting lost and not trying to complete my medal collection. Overall, The Crystal Bearers was a fun game with a good story, memorable characters, and unique gameplay. Though it was not what I expected from a Final Fantasy title in regards to the style of gameplay, I do not feel that this takes away from the experience, as it is a fresh take on the series. It takes a little bit of time to get used to, but once you get the controls, the game becomes enjoyable and extremely interactive, from navigation and battles to the cut scenes. Though there is not a lot of replay value, but I still felt this title was a solid entry to the Final Fantasy series pleasing both die hard fans and newcomers to the Final Fantasy universe. 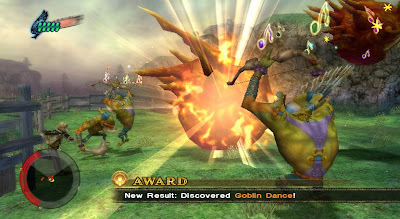 Final Fantasy Crystal Chronicles: The Crystal Bearers is available now on the Nintendo Wii.